Lytton Park Reno Family Home! Gorgeous Bright & Spacious Wide Semi Detached With Deep South Facing. 3+2 Bedrooms, Built-In Garage With Private Drive Fits 3 Car Parking, Hardwd Flrs, Pot Lights, Powder Rm, Large Eat In Kitchen With View Of South Garden. Forced Air Gas W/Central Air. *** In Desirable John Ross/Glenview/Lawrence Park/North Toronto School Zone***. 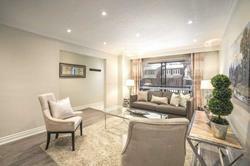 Steps To Yonge Street, Great Shops, Restaurants, Amenities, And Subway. Want to learn more about 37 Albertus Ave? I would like to learn more about 37 Albertus Ave.